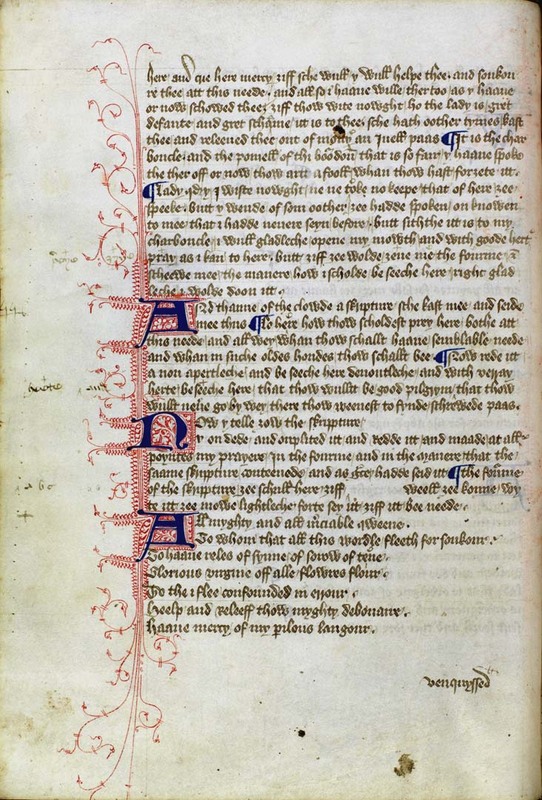 The Chaucer alphabet is thought to have been written in 1369; if so, it is his earliest surviving composition. But it is not original; it is a translation of a popular French poem written about 1330 by Guillaume de Deguilleville. A beautiful illuminated copy of the French poem in the Morgan library (M 272) may be the earliest illustrated alphabet poem in this country.